and an environment considered somewhat less subjective than the opportunities available or of interest to the average individual: the laboratory. 1) Crystals have no intrinsic power. They are very sensitive and precise tools that will accumulate a charge from an individual using them amplify that charge and transmit it through the crystal to a designated destination via breath and intent. In this case the crystal functions as a unique bio-energetic transducer and template. 2) A crystal acts as an amplifier of the bio-energetic fields surrounding the body of an individual. These fields are generally controlled by breath. 3) The energy field that is stored and patterned within a quartz crystal will replicate itself within water. When a charged crystal is intentionally directed onto a body of water, a charge transfer takes place, causing a significant number of the water molecules to become structured or patterned, developing a liquid crystal state at room temperature. The structure of quartz begins to replicate itself in the water. There is a measurable change in the hydrogen bonding as observed by infrared and ultra-violet spectrophotometry. There is also a change in the electrical conductivity of the water as well as the pH. A Vogel-cut crystal transmits subtle energies of the minds as a coherent field. This is critical because a coherent force can easily facilitate resonance, release, and rebuilding of energetic patterns in the body. The coherency of the field is important so that once it goes into an individual it is not broken up by the very energetic patterns one is seeking to release. It is type of subtle energy surgery and a coherent field is needed to open the subtle body one seeking assistance. Afterwards, this field must also be closed. The Vogel crystal also prevents the energies of a client from flowing into the field of the user so he or she is little affected by these energies. It is important to develop one's abilities of visualization to be effective in this work. We create the illusion of the world with our visualization. Here we can use this skill in a more focused and helpful way. Visualization can be in control of imagination so that it doesn't run rampant. It is like a rudder to keep us on track. It is possible, through visualization, to release a thoughtform that can affect one or hundreds of people simultaneously. It is important to develop one's sensitivity, not just to the crystal, but to all of life. This can be very challenging at times and one must proceed in such a way as to not be overwhelmed. Gentleness is key. Frequently we will cut a crystal specifically for an individual. The energy field of the person taking custody of the crystal is considered in the faceting process and this becomes part of the crystal’s frequency. In the past all crystals were cut this way and we continue this practice for those individuals wanting a crystal created especially for them and the work in which they are engaged. We have since discovered that when presented with a variety of Vogel® crystals, an individual will intuitively choose one that best fits their energy field. When possible we confirm this with either the Omega 5 or kinesiological testing. Kinesiological testing consists of evaluating the body’s strength in response to a particular stimulus, in this case a crystal. The process is quite simple. You can evaluate your baseline strength by joining the thumb and index finger of your non-dominant hand. Using your dominant hand pull at the junction of your non-dominant thumb and index finger. Notice the strength in your fingers. Hold the crystal you are considering in your non-dominant hand as you once again perform the above test. If the crystal is too large you can simply look at it or think about it. Notice whether the bond between you thumb and index finger becomes stronger, weaker, or remains the same. If the bond becomes weaker then the crystal is not appropriate for you. If the bond remains the same or becomes stronger then it is appropriate for you to work with the crystal you have in mind. This test can be applied to virtually anything. You can use it for the selection of foods, colors, vitamins, and so on. It is a form of dowsing. One can also use a pendulum to select an appropriate crystal. Consult the chapter on Dowsing for further information about this. The best way to select a crystal is simply to choose the crystal one likes and trust this. Any method that undermines one’s self-trust is ultimately futile. Often we will use a particular method to make a choice as a way to discredit our conscious self. This can be a way of disempowering ourselves. One can consider the physical presentation of the crystal when choosing. The internal environment of the crystal is not as important as some might think. Although optical quality and clarity is beautiful and offers some unquestionable benefits it is not necessarily a primary consideration in selecting a crystal. Clear crystals have been observed to become somewhat cloudy and cloudy crystals have been seen to become clear after being used for some time. This tends to be directly correlated to how the crystal is being used. If the crystal is being used in a loving way the interior of the crystal tends to be bright and remain clear or, if already included with cloud like material, to clarify and become brighter. If used in a mechanical and manipulative way, and this can appear to be love, the clear crystal will tend to become clouded and duller. The already clouded crystal will remain this way and may even become filled with more material. We offer no physical explanation here. This is simply a rather consistent observation. One idea is that the vacancy where the SiO2 solution once existed is occupied by Love or energies that are less than love. The inclusions within a crystal that some people find distasteful are the gateways to the many distant realms of the imagination for others. One must choose according to one’s proclivities as well as so-called “objective” criteria. Although the crystal should be as clear as possible, free of dense inclusions, fractures, surface cracks, gross cloudiness, and so on, it is important to also trust one’s intuition in these matters. It is important that the crystal not be damaged, particularly certain aspects. Most important is the tip. This should be intact. As mentioned in a previous chapter, this is the primary energy emission point of the crystal. To have this broken or chipped is to reduce the effectiveness of the crystal. Secondary energy emissions come from the sides of the crystal sloping up towards the tip. If possible, these faces should have no chips or cracks. Finally, the body of the crystal has tertiary energies radiating from their surfaces. It is ideal that these faces are intact, but if there are some irregularities in this part of the crystal it is less important than at the tip. These considerations pertain to uncut quartz crystals. In regard to a faceted Vogel-cut crystal, it is important that all aspects of the crystal be intact. Scratches on the highly polished surface will reduce the energy transfer. This is true for cracks, scratches, or chipping anywhere on the crystal. If one is selecting or ordering a Vogel-cut crystal how does one decide how many sides are appropriate? This is mostly an intuitive decision. However, as was stated earlier, the first crystal created was he four-sided crystal based on the Kabalistic Tree of Life. It was subsequently found that as more facets were added, the energetic spin within the crystal had the potential of being faster. For example, the energy emission from a twelve-sided crystal is potentially greater than that from a four-sided crystal, the energy from the eight sided crystal greater than that from a six and so on. The pattern is clear. Due to the intensity of spin, the energy emitted from the crystal will have a greater or lesser degree of resonance with the various subtle energy bodies of a person. One links into this one primary aspect. Marcel’s sense was that the four-sided crystals act primarily on the physical body aches and pains, etc. at a subtle body level. It also has an strong impact of the boney structures. The six-sided crystal performs in much the same way as the four, but is able to link to multiple levels at once and penetrate more deeply into the physical and energetic bodies. This allows one to easily work in the emotional aspect of the field as well as the tissues and organs. It also gives us energetic access to the karmic pattern of an individual. The eight-sided crystal allows one to remove multiple layers of patterning, which may not be accessed with the four or six-sided crystal. It is particularly useful to release deep shock and trauma, even releasing patterning that is at a soul level. All of this is contingent upon the capability of the user. Marcel maintained that the 4, 6, 8 , and 12-sided healing crystals were the complete set of healing instruments. He focused primarily on the 4, 6, and 8. Anything beyond this was of little value for this form of service. I once showed him a 24 sided crystal and he said it was very nice work but was primarily an "ego" crystal. By this he meant that it satisfied one's need for more and bigger. An exception would be for the purpose of channeling or subjective communication. Still, individuals gravitate to whatever their intuition guides them for their particular needs. When a crystal becomes too highly faceted in the "Vogel" pattern the energetic spin is reduced and the result is often less rather than more. Some crystals are so multi faceted that they are virtually cylinders. Still, the geometric patterning of these crystal has an effect, but the information described here regarding Marcel Vogel's research and treatment protocol does not necessarily apply to crystals over 14 sides. In common use is the twelve-sided healing crystal. Crystals with a greater number of sides may have special applications for various situations, but it must be understood that more is not necessarily better. It is different and useful depending upon the need and intent. Sometimes a weaker field can have a more profound effect upon the body of an individual than a very strong one. This is true in the case of electrical and magnetic fields. Robert O. Becker has done research regarding this in application to the healing of bone fractures. In a healing application, for example, it is the need of the client that must be considered not the needs of the counselor. As in all work with crystals the primary process is one of Love. An analogy of a glass of water is helpful. One could drink 4, 6, 8, 12oz. or more. It depends upon how thirsty one is and what the body requires. “Generally speaking, the number of sides can create certain types of physical realities. “The four-sided crystal has a great deal of ability to create foundational platforms or, in other words, to create a basis or fundamental relationship with things. For example, this would be a good platform to use for manifestation of mind realities if you are hoping to create or manifest a particular thought the four-sided crystal is effective for this. It is a good tool for maintaining form, for maintaining stability, for maintaining or keeping alive a particular thought-form. If someone, was using this crystal to amplify the thought of a specific mantra or visualization this could help to stabilize the visualization or thought-form and help it remain intact for a period of time. “The six-sided has a capability to create a Merkaba or a type of relationship between to two opposing elements. It creates a type of stability between or a type of balanced relationship between the two. This can be useful in out-of-body travel for example. Or for receiving information from other thought-forms or other entities or other spatial relationships that y0ou may have interest in learning about. The3se can be both with the self or external to the self in terms of your personal consciousness or expression of reality. The six-sided crystals have the ability to also to nuance or create a reflection of subtle energy or work more with that which is unseen of unfelt. It can create a refinement of a resource within oneself or potential with oneself so that which is not fully developed and be more fully realized. “The eight-sided crystal has the ability to create a super conscious or a kind of expansion of awareness. It has the ability to move beyond the mind into a non-linear reality. This is purposeful for soul development as well as clearing away the illusions or delusions of mind. “A nine-sided crystal has the energies of the void or the void components that we referred to earlier. It is taking away information. It is eliminating certain components within a field of thought so it is not as beneficial for Melissa in channeling, for example. However, for moving elements out of the environment prior to the receiving of information this is quite effective. “You might look at this as a tool to remove disturbing thought elements or from a physical body or field energy itself. This is the type of removal of information of which we speak. “Regarding the twelve-sided crystal, the number twelve has a lot to do with creating a causal reality or reality that can have a type of relationship with other individuals with other form based consciousnesses. This is purposeful for the type of mental work that you might want to receive from us for example. A twelve-sided mentally focused crystal is very good for receiving information as well as creating spaces of thought. “With a thirteen-sided crystal there is a creator or a being who has the ability to hold thought, to know the unknowable. The thirteen-sided crystal facilitates the ability to hold this within oneself. It is the blueprint of the creator or of the Divine. “The twenty-four-sided crystal is a more extensive or powerful version of the four, six or eight sided crystals. It contains harmonics of all of these. A prime number is one that can be divided by only itself and one. Examples of this are 3, 7, 11, 13, 23, and so on. It has been found through subjective experience that these numbers of sides to a crystal make the piece qualitatively different. Such pieces are usually favored for channeling or subjective communication. It has been suggested that perhaps the prime number of sides gives the crystal a greater “thrust” in the energy projection. The crystal itself can be cut with any number of sides. We have created up to 64 sides for use in technological devices, however, for the most part it seems to be idiosyncratic once one passes a certain point. The crystal loses its spin once it becomes too highly faceted. One of the best cutters in the world maintains that once you pass 12 sides the efficacy of the crystal begins to deteriorate, at least in return to the actual functioning of the crystal. There are highly faceted crystals available in the marketplace, but these are variations of the Vogel design and not the geometry of which we speak here. Marcel's intent was to discover what was actual about quartz rather become absorbed in what is known in the esoteric world as glamour and illusion. A good resource to learn about these dynamics is "Glamour: A World Problem" by Alice Bailey. In fact, most of the Alice Bailey books are considered required reading. During Marcel's time here we worked with crystals with up to 14-sides, as well as other designs. Still, he considered the four, six, and eight sided crystals to be the complete set needed for healing work. His personal companions were an typically an eight and thirteen sided crystal. He would often say with a big grin "What else do I need?" When first acquiring a crystal there are certain basic skills that need to be developed. The first of these is clearing and charging the crystal. Any quartz crystal, whether faceted or not, will accumulate a charge. This charge can be one that has been imputed to the crystal intentionally or one that has built from the ambient energy present in any environment...a static charge. When we are attuned to a crystal, it is very responsive to our breath. Surrounding our physical form there are various layers of energy that ebb and flow in rhythm to the breath. The outgoing breath causes the expansion of these fields; the indwelling breath causes contraction of the fields; the incoming breath draws in a charge; the outgoing breath releases the charge. These are continuous rhythms in the normal human energy field and it is these patterns we address in working with the crystal. Normally, the exhaled breath releases an unfocused radiant charge around the body. By pulsing the breath forcefully out through the nostrils the charge release becomes focused and coherent. This is the breath we use in working with the crystal. To release or clear the energies in a crystal, hold the tips of the crystal between the thumb and second finger of your dominant hand. Hold two opposing facets with the thumb and second finger of your non-dominant hand. Slowly breathe in with the thought to clear the crystal of any harmful or limiting influences. When the breath is fully inhaled, hold for one or two seconds and then forcefully exhale the breath in a short burst or pulse. The process of pulsing the breath is somewhat like sneezing or blowing one’s nose. The pulsed breath is a carrier wave for our intent. Repeat this process for each pair of faces on the body of crystal. When a crystal is too large to physically hold in hand, create an image of the crystal in your mind, breathe in with the intent to clear and pulse the breath. This can be done over any distance although a certain degree of mastery and confidence is required. Slowly, slowly one can release conventional ideas of time and space. Is it possible to clear another individual’s crystal? if one has developed a certain degree of mastery. 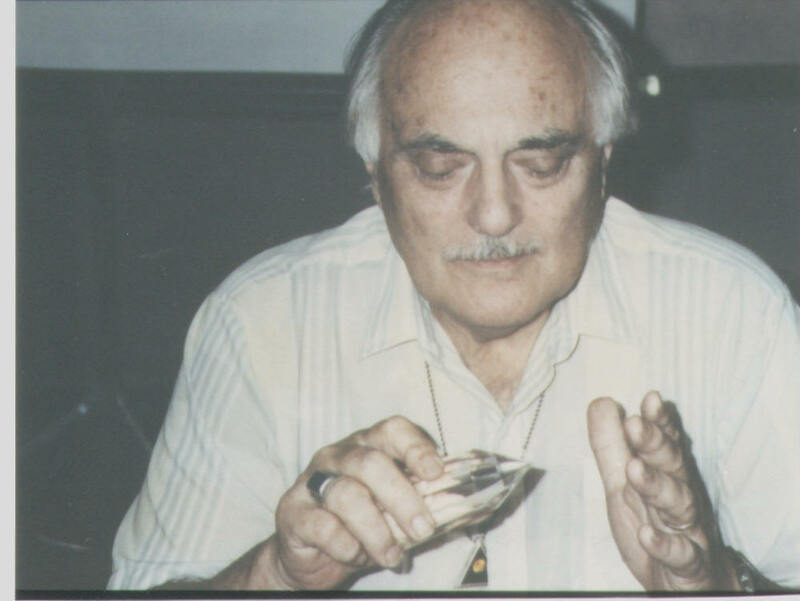 In 1988 Marcel Vogel, Dr. Willis Downing, and I performed an experiment to find out if it was possible to clear a crystal that another individual had charged. The idea came up in relationship to tests that were being done at the Sycamore Creek Vineyards to finish wine using Vogel-cut® crystals as described earlier. An eight-sided citrine crystal was degaussed and measured in the Omega 5. The signature value of 454 (indicating a Vogel crystal) was found and the energetic charged was zero indicating that the crystal was empty or cleared. I then charged the crystal mentally and it was measured again. This time the Omega showed a substantial charge present. Dr. Downing then attempted to clear the crystal by breath and intent as described above. The Omega 5 readings showed the same charge present. He had been unsuccessful. I then took the crystal and cleared it. The Omega showed readings of zero. There was no charge present. I again charged the crystal and Dr. Downing made another attempt to clear it, again with no success. This routine was repeated several times with the same results. We added to the test my clearing and charging of the crystal remotely. First I would simply look at the crystal and use the breath and intent method described above to clear. I did not touch the crystal. The Omega 5 indicated that there was no charge present. I did the same to charge the crystal: simply to look at the crystal and transfer a charge via pulsed breath and intent. I was able to clear and charge the crystal without having any physical contact with it. With practice we can all to this. It is possible to clear and charge a crystal with just a glance or a thought. It is a matter of intent, focus, and skill. The next step was for me to go to another room in the laboratory, perhaps fifty yards away, and attempt to clear and charge the crystal by visualizing it and then using the method of breath and intent. I was successful at this as well. The proximity or distance from the crystal is not important. It does, however, require a certain skill level and a degree of confidence to be able to do this, but it is within everyone’s ability. Never immerse a crystal in salt or a salt-based mixture or solution. A saline solution allows dissolved salt crystals to flow into microscopic fractures, which are present in virtually all unfaceted crystals. When the water evaporates the cubic salt crystals can reconstitute and may expand the fractures within the quartz even more. The saline forms a film on the crystal that can reduce its effectiveness as a healing instrument. If you have ever been in the ocean you know the feeling created by salt water. Dry salt can leach out the natural moisture in the crystal so that it becomes brittle. Placing a crystal in dry salt will cause tiny scratches on its surface, which impair the crystal’s ability to function properly. You can place your favorite vinyl record in dry salt and. The record will become scratched. You will hear the dramatic difference and discover the effect salt has on the information transfer that involves the use of encoded surfaces. One aspect of a Vogel-cut crystal is the amazingly smooth and brilliant finish that the cutters are able to create on the surface. The ultra smooth finish is one part of the transport mechanism for information on the crystal. When salt crystals scratch this the efficacy of the quartz is diminished. For those who wear glasses, you know the effect of scratching or abrading the surface of your lenses. Contrary to popular wisdom, salt has no real clearing or cleansing affects whatsoever in regard to crystals. We have attempted to clear a charged crystal using salt-based methods and found them to be quite ineffective. A charged crystal is placed in the Omega 5 and then measured. When it is determined that there is a charge present the crystal is then put through whatever salt based technique we have chosen to test. When the crystal is again measured with the Omega the initial charge remains. The clearing/cleansing technique had no effect at all. At best the superficial charge on the crystal could be removed by a saline solution. The internal charge or program within the crystal still remains. The same results were found with smudging (passing the crystal through the smoke or burning sage or cedar), immersing the crystal under running water and a variety of other popular methods for clearing the crystal. To date the only methods found to be effective in clearing charge from crystals are the breath and intent process described earlier, a tuning fork sounding 2675cps., and the more mechanical broad sweep method: a de-gausser or demagnetizer. Incidentally, both of the methods can be used to erase magnetic recording mediums although one’s ability must be quite developed if one is to erase magnetic recording tape with breath and intent. Most of the methods outlined in popular books on crystals work only because of the belief or intent of the user. This should not be confused with anything actually intrinsic to the particular method itself. It is you who empower any ritual, which you choose to use. It is critical to not only understand this but to experience it and integrate this dynamic into your life, into your body. In order to charge a crystal the skill of breath and intent is required. Hold the crystal in your dominant hand and begin to roll or rotate it clockwise (to the right) while at the same time squeezing each of the facets. In a very short time the surface of the crystal will begin to feel somewhat sticky. This is a superficial piezo-electric charge build up. When the primary charge has been induced, hold the crystal with your index finger at the tip. Bring into awareness an experience of Love. It is important that this be an actual experience of being loved or feeling loving. Your body will feel this energy and it will be a tangible reality rather than merely a philosophical or spiritual thought. One can then access the energies of Divine Love. Draw the breath in as you focus on this experience. Focus on the third eye, the space between the eyebrows. Create the intent of filling the crystal with Divine Love and pulse the breath. The pulsing action of the breath transfers the energy into the crystal and a fragment of consciousness occupies the lattice space of the crystal. The basic carrier wave and cohering factor of your consciousness is Love. The energetic input to the crystal is directly proportional to one’s degree of concentration and focus of intent. By charging the crystal with Divine Love we are linking our Head, Heart, and Hands. This is one of the conditions necessary for Esoteric Healing. By doing this we use our Will to direct the force of Love through our hands. You may feel an inductive pulse in your open or sensing hand as well as a sense of the crystal vibrating or pulsing in your dominant hand. In fact your entire body may begin to oscillate. This oscillation is not synchronous with the heartbeat or pulse. It is a resonant vibration with the etheric body. You can then repeat this process to imprint secondary charges such as color, homeopathic preparations, Bach Remedies, intent of outcome, and so on. The primary charge of Love and Well-being is a carrier wave. The secondary charge is the information that wave will carry. Once the crystal is charged you occupy that space and it is unavailable anyone else. There is no need for fear about others touching your crystal. The charge in the crystal increases to its maximum when you hold your inhaled breath. Breathing in increases charge, exhaling diminishes or transfers the charge. The crystal is responsive to your breathing. Inhalation builds the charge, exhaling diminishes or transfers it. The charge that streams forward from the tip of crystal is a spiraling energy, not a beam or cone. The spiraling action is created by the specific angles of the operating tip can on many dimensions and link more profoundly when the accelerated. One can also charge the crystal along its three axis points. This induces a more permanent imprint. In general, the charge will remain until you clear it out. Is your crystal charged? How can you tell? 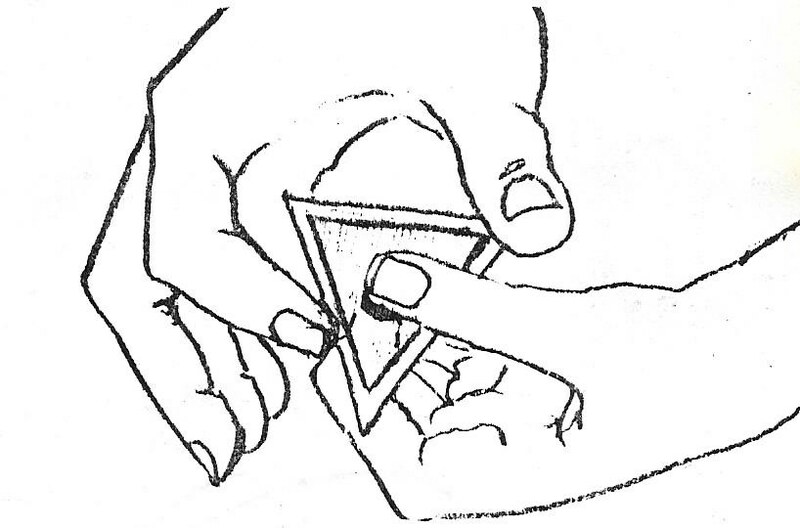 To test if this has been accomplished, hold the crystal in your non-dominant hand so that the crystal is parallel to the floor and there is flat surface exposed on top. With the second finger of the opposite hand, gently stroke this surface. With a charged crystal, when you exhale, the finger will stick to the surface of the crystal and when you draw the breath in the charge will be drawn from the crystal into you and the finger will not stick. This shows not only that the crystal is charged, but also that it responds to the rhythm of your breath. The greatest potential energetic moment for the crystal is when your breath is completely drawn in and held. You can even have another person stroke the surface of the crystal as you breathe. The rhythm of your partner’s breathing will have no effect. The crystal is linked to you through your consciousness and breath. With an uncharged crystal there will be no stick on inhalation or exhalation. This dynamic can also be experienced with the index finger stroking the sides of the crystal sloping toward the point. A pendulum can also be used. Hold a cleared crystal perpendicular to the ground in your non-dominant hand. With the dominant hand hold your pendulum over the tip of the crystal. typically, there will be no movement. If you are using a Vogel-cut crystal turn the crystal 1800 so that you are assessing the other tip of the crystal. Again, there will be no movement. If the crystal is truly cleared the pendulum will show no movement at either end. Charge the crystal with breath and intent as described previously. Repeat the pendulum test. this time there will be movement at both tips. At the operating tip the pendulum will spin clockwise. At the other tip it will spin counterclockwise. This will happen only when he crystal is holding a charge. For more information on using a pendulum, go to the section on Radionics and Dowsing. It is important to realize that it is intent that charges and clears the crystal. One can simply touch the crystal with intent and it will become charged. Breathing will then increase this charge to the crystals maximum capacity. It is similar for clearing, however, it is very important to develop the skill of building a charge in your body and the ability to transfer it to the crystal in reality and not merely fantasy. Use the fundamental methods mentioned above to fully develop your skill inventory. Sometimes we are legends in our own mind for no apparent reason. When initially developing this skill it is possible that others can diminish or eliminate the charge you are creating. An attitude of skepticism or derision from another can make the crystal become discharged. This is not due to the other influencing the crystal but to their influence over you. Once you have developed experience, knowingness and a security in the work, others will not have this influence. Put the crystal away only after having discharged it and then slowly breathed into it two or three times. While admittedly subjective, this test demonstrates the responsiveness of quartz to the energy of a coherent or focused mind. Research has shown that it can be very difficult to remove a charge that has been intentionally placed in a crystal from the mind of another individual. This is because when one charges a crystal mentally, one occupies the lattice space of that crystal. In this case a demagnetizer or de-gausser can be quite useful. It will strip the crystal of all information it holds. 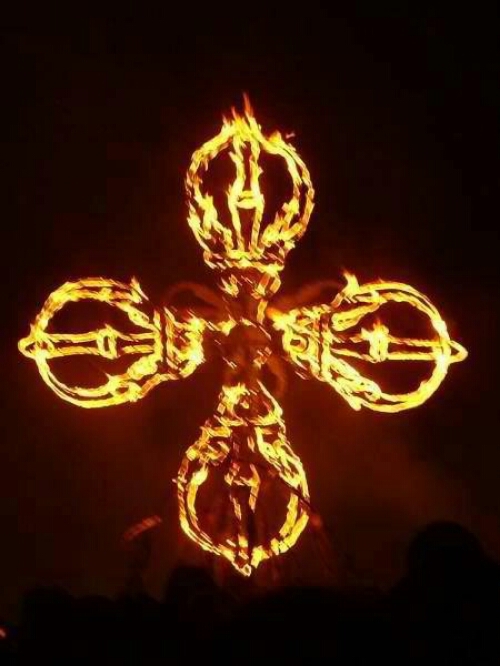 NOT THE RITUAL ITSELF THAT IS AT CAUSE. What happens to a crystal when it is charged? There are various opinions about this so what we offer you here is one. In order for an object to be able to maintain information, an orderly internal patterning and appropriate internal geometric spacing that allows energetic transfer is necessary. As mentioned earlier, quartz crystal meets these criteria and consequently has the capacity to store information as patterned thought just as a computer disc will hold information as bits: zeros and ones. Marcel once told me that he thought that the information programmed into a crystal was not just locked into the lattice structure but was actually imprinted on the atoms and molecules. Such informational patterning is also imprinted on the quantum level within the body. As well as the physical processes we currently understand of electro-chemical exchanges within the body at the cellular level, there might also be an energetic imprinting at the level of the DNA. If this is true, then it might be possible to erase one type of programming and install another. This dynamic applies to each dimensional level of our being. Charge transfer to a crystal is affected through the power of focused intent projected by the mind of the user, via the vehicle of breath. The light or energy projected from the mind of an individual into the crystal interacts with the crystalline matrix. This causes the energy to move in a spiral along the growth axis of the crystal. The charge becomes circularly polarized light creating a small electric charge. When light becomes curved, its electric and magnetic components vibrate in and out of the circle of rotation rather than up and down, as is usually the case with the straight movement of light. When the crystal is charged by breath, it creates an oscillating field and secondary fields are generated. As the charge builds, additional secondary fields arise. The consequence of these fields is a radiant field in the space around the crystal. The pulsing of intention with breath causes these fields to cohere, at which point they can be used in healing service. Normally in the movement of light, the up and down or vertical vibrations cancel each other out and there is no charge created. With circularly polarized light, the up and oscillations of the light creates a charge differential...the outward vibration becomes greater than the inward vibration. This field, induced in the crystal by the mind of the user can excite or accelerate the electrons around the body causing an ionization of the gases a few millimeters over the skin thereby producing a type of luminescence. Each unit cell of the crystal oscillates at the same primary frequency and there is a profound rhythm entrainment that will occur when the crystal is charged. Once in motion, the crystal requires a minimum of energy to maintain its vibration. It is a phase locked resonant system. 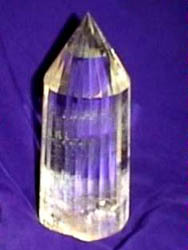 When projected into the crystal, the energy is patterned by the spiraling matrix of the crystal and can be utilized by the user as is appropriate. This charge can then be transferred to water, another crystal, or another individual. The basic movement of energy is from the more obtuse tip of the crystal to the operating tip or the more acute angle. In the case of a single terminated crystal, the flow is from the unterminated end through to the tip. The amplification of energy in quartz tends to occur in the body of the crystal. This results in the emission of a laser-like spiraling of as subtle field of light from the crystal tip. There is an acceleration and shifting that happens at the exact second that energy enters the crystal. Whether the energy quickens or slows depends on the dimensional nature of the energy. The programming of the crystal is not limited to a single dimension. Only our intent and capability limit it. The internal reflection of energy at discreet angles of the crystal will create an amplification of the field. 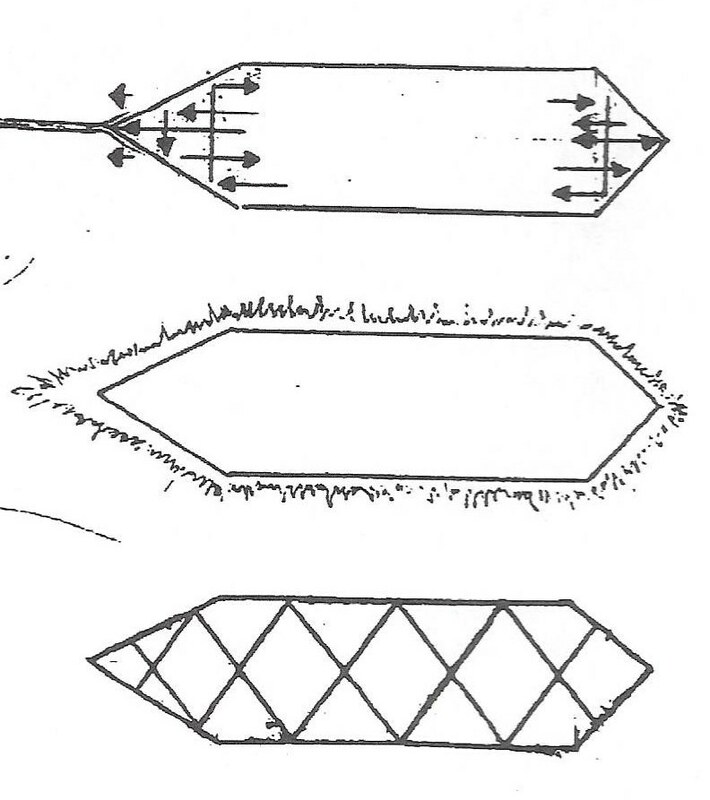 This is why the relationship of the angles at the tips of the crystal is important. A pumping action with the crystal caused by the intensely focused field introduced to it and stored within can accelerate the electrons into a higher quantum state resulting in a reversal in electron spin. This can result in or assist in the process of dimensional shifting. The key here is in the use of intense coherent light. When such a light is focused through the crystal at specific angles the energy is increased rather than diminished, hence the efficacy of the Vogel-cut crystal. The greater the number of sides from which the energy can reflect, the greater the potential energetic output. Whenever energy is stored in a crystal there is an energetic pumping of a large percentage of the atoms into a higher quantum state. This is called a population inversion. A population inversion is a process by which a number of atoms in an excited state is increased, compared to the atoms in the ground state which increases the stimulation probability making it useful for a laser. This intensely focused energy can be a laser, a maser, sound, higher consciousness, etc. The crystalline matrix, when faceted properly, induces a coherent state. A coherent state is a single or narrow band frequency state. Simply by holding a crystal that has been cleared and charged, one’s energy field will begin to amplify and cohere. This is a consequence of the factors stated above as well as a manifestation of the piezo-electric effect. It was stated earlier that the piezo-electric effect was the production of charge in and on a crystal as a result of mechanical pressure. It takes very little stimulation to induce this effect. Sound will generate sufficient surface pressure to elicit a response. The holding of the crystal can also be enough pressure. The result is that the charge of the crystal stimulates the pacinian corpuscles in the fingers, which in turn affects, the nervous system and the overall energy field. This becomes an ongoing feedback loop generating a charge buildup. In the process of this charge buildup, those factors that tend to cause incoherence or resistance in the body will begin to surface in consciousness and must be dealt with in a way that maintains balance and integrity. The nature of Love, which is the primary charge induced into any crystal, is the fundamental cohering force. It has been called the “glue of the universe”. This is not the emotion that most of us experience, but rather a pure force. What we tend to experience as love, or perhaps better put, “romantic love”, is an effect or consequence of this force. Love has many forms and faces and it is important that we become familiar with as many as possible. Love allows coherence. Love allows health and growth. Mystics speak of unconditional love. It is obvious that they are not talking about the love as it manifests in the average individuals life and relationships. The love of the mystics is a pure force. To be in the presence of such an individual is an unsettling experience. One simultaneously feels the most overwhelming sense of love, yet at the same time the sense of it being one of the most impersonal experiences ever. It is as if one were to say to you “I love you and don’t take it personally.” This is the Love of which we speak. Love is our innermost core. Love is the primary force in all healing. Always allow the crystal to be charged with Divine Love. Once you have cleared and charged your crystal there are a few experiments you can do. When describing a clockwise circle, visualize a cone of white light emanating from the tip of the crystal. If using "color therapy" you can visualize whatever color is appropriate once in the etheric field. A sense of "pulling in" like a magnetic attraction will arise. There are various sensations one may experience when working with the crystal. Using the up and down movement generates a pure vibration with little or no internal sensation. This vibration becomes amplified as the up and down oscillation is continued. There may be additional sensations that you will discover for yourself. If none of these happen immediately don't be concerned. It may take time to develop your skill level. If one scans the field of an individual using the operating tip of the crystal a resistance or bouncing feeling will arise as you encounter the etheric body. In penetrating this field the sensation will disappear. It can be helpful to slowly rotate the crystal counter clockwise as you approach the etheric field and then rotate clockwise to consolidate or fine tune the connection. It is almost like using a key to open a lock. If a connection cannot be felt initially, perform the steps above as you describe the points of a clock face as if it is on the chest of the client or on the palm of your hand. It is important to build up a skill inventory in order to use the crystal effectively. The ability to visualize and concentrate is vital. We visualize all the time even though we may not be aware of it. Often people tell me that they can't visualize. This is usually the result of self-hypnosis, telling themselves again and again that they cannot do such a thing. Such is true of most of our life as well. We experience what we are conditioned to experience. Our biggest conditioning is who we think we are. We have been told who we are by others who have no idea of who they are. That the physical senses are all we have to perceive the world is a great illusion that enhances the trance in which we live. a lunch break! Interestingly, this affected only the conference room. The rest of the hotel was fine. One aspect of developing visualization skills is learning to have fun, to play in the realm of the mind without fear. Children do this all the time. Often adults are fearful of being wrong or silly. It is important to be a silly person from time to time. From time to time recall what your best friend looks like. Imagine them green. then blue, purple, striped, and so on. this not only develops your visual skill but activates a different part of the brain. Do this a few times. Remember what your friend looks like and then create them being different colors. Have fun doing this. It is not a serious undertaking. When you look at a person notice what you see. Close your eyes and see this in your minds eye. Change it somehow. If your friend is male, see them in a dress and vice versa. Change the hair color, eye color, and so on. If you don't have a friend nearby, look in a mirror. This person is surely a friend. A very helpful thing is to visualize those things that you like and love. Concentration may be difficult enough without having to think about things or people you don't like. this is why, especially in the east, one focuses on an image of the teacher or guru. In the west we have Jesus all over the place to remind us of his life. Most people have a photo of their beloved. It is easy to focus on these things so this is the place to begin. Additionally, whatever you habitually think upon tend to appear or increase in your life. Have a friend stand or sit in a completely darkened room with you. When your eyes become accustomed to the darkness (5 or 10 minutes), look at your friend and notice what you see. Repeat the same exercise as above, but this time have your friend sit in front of a white background. this can be a sheet, a projection screen, a white grease board. Watch your friend and pay attention to what comes to your attention around your friend. “The crystal is an energy converter. It converts a small vibration that we release through our hands and control by breath. This small vibration is converted into an electric field or charge. The crystal is cut from pure natural quartz and faceted, by hand, along the “C” axis, the primary growth axis. “To use the crystal hold it in your right or left hand, rotate it clockwise and squeeze it. As you rotate and rub the crystal, you will feel a “stickiness” coming to the crystal’s surface. This “stickiness” is a surface charge being picked up and accumulated by the crystal. The crystal is charged and ready to be used when you hear a static sound. (This is a squeaking sound heard when you rub the crystal with your fingers. It requires a fair amount of pressure). "This process builds the primary charge in the crystal itself. 4. Suddenly releasing the breath through the nostrils. (This is a pulsing action like a sneeze or blowing your nose). Focus on the crystal and, you will feel a small but distinct vibration within it. “The crystal is now charged and tuned for your vibration. “Each living form has its own distinct vibration. It is our “signature” in that we each broadcast a distinct vibration (the same as we have in our handwriting and our fingerprint). This vibration is transferred to the crystal by the method described. It is through this signature or vibration that you can transfer or receive a charge to or from another person or object. “Hold the crystal in your hand with the thumb on one face (the flat broad face) and the index finger on the longer shaped end of the crystal. Of the crystal’s two ends, one is less acute than the other is. Put the less acutely angled end in the palm of your hand and pace your forefinger on the more sharply terminated end. “We have two sensors that we use when we work with the crystal’s vibration. One is the forefinger and the other is the thumb. The thumb is a tuning coil as well and with the thumb you can vary the rate of vibration or frequency of oscillation released through the crystal. “To test out the charge transfer capacity of the crystal, hold the crystal in your hand, draw in your breath filling the chest fully, hold your breath and experience your body oscillating spontaneously with the crystal. The spontaneous oscillation is an excellent indicator that the crystal, the vibration and the overall balance are in effect. As you relax, you will find that your body goes into a periodic oscillation as well. 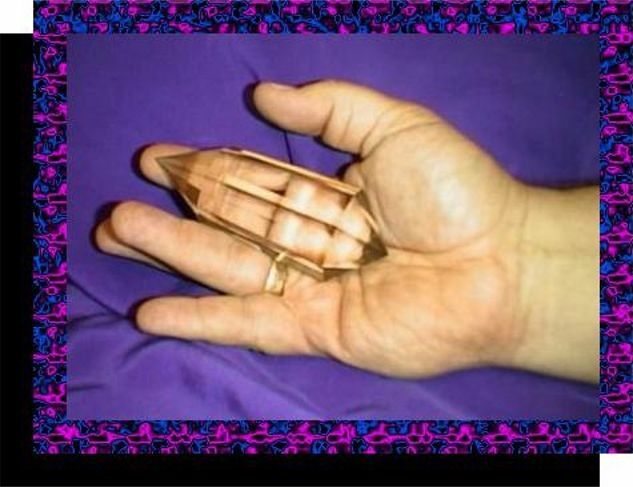 “Point the tip of the crystal at your opposite hand about 6 to 8 inches away and slowly move the crystal up and down. As you do this, go through an arc starting with a zero position, visualizing the face of the clock as follows: one o’clock, two o’clock (beginning oscillation), three o’clock, four o’clock, and so on. As you come to a discreet position you will suddenly feel in the opposite hand a tingling sensation. Furthermore, as you move the crystal back and forth, rather than up and down, this tingling sensation will carry with it the feeling of wind flowing back and forth. “To further test this, hold the crystal in your hand and take the sensor hand in opposition. Have another person take their hand and move it up and down between your hand and the crystal. You will feel an inductive kick in your receiving hand. This is because as the individual makes and breaks the field, a charge will be transferred from the field to that person and to your other hand. It is very much like you are dealing with a motor. A vertical up and down motion of about 2 ½ inches in dimension, which goes around in a vertical ellipse. Use this type of oscillation, either clockwise or counter-clockwise. When you enter into the energy body of an individual, enter counter-clockwise and then rotate in a clockwise direction until you come into resonance or in empathy with the field that is present there and employ this movement. In the second motion you direct the crystal in circular motion (either clockwise or counter-clockwise) visualizing the energy coming out as a cone and flowing to a minute point. This is used to inject a luminous field into the area of treatment. As you move the crystal in a clockwise direction, visualize the energy coming to a white luminous cone in the tip of the crystal. If the direction is reversed, visualize the tip of the crystal turning black, as there is a reversal of charge. “When you work in a circular direction, you visualize light. With the vertical up and down direction there is no internal sensation of light, but purely vibration. You can work with two distinct patterns: the vertical up and down motion equivalent to sound and the circular motion equivalent to light. Both of these are capable of being generated and emitted by the crystal. “The primary act of healing is to assist the individual in bringing the body into balance so that the energetic fields, which surround the body, flow in a natural, meaningful way. We exist both in our bodies as well as out of body. The programming of the energy fields that exist outside the body is that of energetic patterns, which become fixed in space and oscillate in much the same way that crystalline unit cells will oscillate in a natural crystal. Very weak but precise charges can critically affect these patterns that we have around the body. “An ancient method of therapy for working with these forms of energy is acupuncture or acupressure. The Chinese have plotted these into what are called meridians. In these meridians are various points of differential resistance at the tissue area. These differential resistance areas are the acupuncture points. You can work on these points with the crystal in much the same manner as with needles although the crystal need only penetrate the energy body and not the physical body. “One important aspect of working with a crystal is the breath. Breath and life are synonymous. When you breathe deeply you invigorate the body with a vital charge. As you draw the breath in you draw in oxygen necessary for the energy of life in the cells themselves. In that breath you are also drawing in a fluid - a particulate unit of life-energy, which is, called prana. Prana exists everywhere and is utilized by the thinking mind to build the patterns of energy we call thought. As a man thinks, so he is, and energy follows thought. “There are four stages to the act of breathing. 4. The fourth is breath held out. “If you listen carefully when you breathe you will note a distinct difference in tonality at each stage of breath. The four-stage process of breath is the primary heating cycle that keeps the body temperature constant and comes from the oxygenation of the blood. When the lungs are in vital active functioning condition, devoid of interference by smoking or pollutants, there is a rapid and precise exchange of the oxygen in the atmosphere into the bloodstream. Vitality globules or pranic energy/fluid is also transferred with the oxygen. “As you draw the breath in, you build the patterns of thought, intention, and what you wish to do, be, or perform. The act of programming the crystal or your own body occurs with the incoming breath, the inhalation. It is on the inhalation that the program is written. As you hold the breath there is a transfer of not only the oxygen, but also the intention or thought that you draw in with the breath. “Rapid, shallow breathing will strip you of vitality and make you subject to all of the vicissitudes of negative thinking which surround you at all times. To be vital, functioning and strong in working with the crystal, learn deep precise, sonorous breathing. Above all, do not be afraid to dwell in your breath and let the intentions permeate the body and complete their process. “When the process is completed, the waste products of the metabolism of the body, including carbon dioxide, are released with the outgoing breath. With that CO2 come the negative patterns that have been stored. For every positive thought, for every affirmative action there is also the resistance that goes with it. As you release the breath in a kind and gentle way you bring the polarities together to form a balance, the whole. “As you rest at the bottom end of the outgoing breath, you can prepare for the next stage of breathing. This is the primary cycle. With this cycle there comes also a series of vibrations. There are two forms of breathing: in through the nostrils and out through the nostrils. You will notice in breathing out through the nostrils that there is a deep sonorous vibrating tone to it. Breathing through the mouth, there is crispness and sharpness to the tone. The tone is much sharper. These are the two limits of the tonal range that we compose in the symphony of living...our orchestra that vibrates within our body. “The Vogel-cut crystal is designed to bring balance to the body so that the body can breath again in a right and meaningful way. For all life to exist, to be meaningful, must be in a state of balance. When life becomes polarized in one direction or the other, there is an interference with the pattern of living. “Point a charged crystal at your opposite hand and move it in an up and down direction and let us again go through the breathing cycle. As you do that and come to the peak of your cycle, you will feel coolness in the opposite hand. The charge is moving from the crystal into the opposite hand. Breathe out and feel the charge waning. “This is a very important point I wish you to now ponder and remember. The period where your crystal is at its maximum of utilization and usefulness is when you have drawn your breath in and have held it. In the holding of breath the charge builds up and comes to its peak and maximum efficiency of charge release. “We store both around the body and in the various organs, and particularly in the bony structures, vibrations or programs which are inharmonious to the normal process of living. This means that the vibration is out of place. It is not performing a useful function and the body does not know how to release it. It is a psychic or energetic cancer. As a cell which is out of place growing on its own in a differentiating way, distinct from the surrounding tissue, is classified as a cancer, so too, we accumulate negative charges which disturb our pattern of living. These are parasitic. The following types of vibrations develop parasitic energy imbalances: a broken bone from a fall or injury. After the bone has healed and the tissue and bone are rebuilt, there is stored in the fracture area the impression of the moment of impact and reason for the injury. At that junction in the bone there is an inharmonious vibration residing. These often persist, remaining with the tissue until the area is purified from the disturbed vibration. One of the primary functions the healing crystal serves is in removing these inharmonious vibrations. “Tissue damage through surgical intervention creates shock in the body causing a state of imbalance in the area where the surgery has been performed. Prior to surgery, a program can be inserted, with the crystal, to prepare that tissue for operation by visualizing the operation and informing the body of what is to come. In post-op, the stress can be removed and the element of pain removed entirely by using the crystal to extract the shock and then project the love that one has within and the desire that the tissue grow back in a normal, meaningful way. “Records are written in bone. Spinal injuries and whiplash are prime examples where precise treatment can be given. A sudden impact or blow is stored in the tissue. The mind has no accessing mechanism for why the injury took place and therefore cannot release the damage to the tissue. It becomes stuck in this area. These can be released with the use of the crystal. “Arthritic conditions of certain types, especially in the early stages of arthritis are amenable to treatment and can be reversed in a dramatic way. Above all, wherever there is trauma, where a person has suffered severe emotional and psychic injury (separation form a loved one, divorce, feelings of inadequacy), there is trauma and shock stored in the primary centers which control the total body function. “The act of healing means to bring the body into balance. The act of healing means bring the Soul into contact with the functioning of the body so the two can act as one in the third: Spirit. Body, and Mind. Spirit then act in concert or as one. “The physical body is and has its essential form in the bony structure. An energy analog exists around the body maintaining the balance and total functioning of the physical form. “This energy field exists as a systematic array of oscillating points of energy, which have a layered structure and a definite symmetry. This is the definition of a normal crystal in material form: a systematic and repetitious pattern. The patterning and positioning of these energy points are the result of breath and its control. “These fields surrounding the body are very sensitive to weak magnetic fields, a half gauss to 100 gauss. These fields can be expanded and contracted by the north and south pole of a bar magnet held in opposition to the body, or with an appropriate quartz crystal. They can be drawn in with the inhalation and released with exhalation of the breath. “If we become attached to a thought, which has a high emotional content, that pattern will be locked into the energy field around us. Eventually the physical body may manifest this in a distortion such as the slumping of the shoulders, a twisting of the muscles of the eyes or mouth, contractions in the muscles of the legs etc. If this continues for an extended period of time these distortions can become chronic and locked into the physical body not just the energy body. “One of the processes of energetic healing is to break up these patterns and to restore the normal crystallographic pattern and structure of the bio-field. The patterns of a balanced energy field are re-established and locked into place with the intention of the client to continue to promote his or her state of health and well being. “It can also happen that a severe blow, a sudden shock or sound will cause a displacement of the subtle body resulting in a loss of body control resulting in the collapse of the field and at times loss of consciousness. An awareness of this makes it possible to rapidly assist an individual in their return to consciousness. You can place your left hand on the solar plexus and the right hand on the heart chakra. Release the breath in a sudden pulse to clear their field as you focus on their physical body. Create an image of bringing the etheric field into the physical body and then slowly draw your breath in. Hold the breath for four or five seconds, then suddenly pull your hands away. When done properly an unconscious person will come back to active consciousness if the situation is a result of collapsed etheric field. “This will not be successful in the case of strokes or excessive pressure from a tumor. It requires a greater degree and extension of therapeutic intervention, which is not covered here. “Monuments have been built throughout the ages with patterns and geometric forms inscribed both within and without. These megalithic structures are vehicles of communication, created to be decoded by subsequent generations. Many of these structures also act as amplification devices for increasing localized weak energy fields that are caused by the movement of mineral rich subterranean water. These forces are called ley lines. The use of pendulums, dowsing rods or simply the sensitivity of one’s hands can detect these lines of force. When crossing in a positive direction the subterranean fields will give amplified signals at the crossover points. When these crossings happen in a negative or opposing direction a weakened signal will be found. Ley lines can also be found in right or left handed spirals. “By building stone monuments over these areas the energetic fields that are present become amplified. Frequently nature itself will create these areas of amplification by the arising of rock formations. The area of Sedona, Arizona is a primary example. A vortex is created and vast amounts of information and pure energetic transmissions can be channeled through such locations. To experience these energies created by an ancient monument, natural or man made, it is necessary to first determine where they are at their maximum. With eyes closed, slowly reach over and touch the stone with both hands. Breathe in and out normally. Gently breathe in and slowly separate your hand from the stone. Gradually exhale and hold the breath. A pulsation will come into the body as if you are being exposed to a dynamo. As the energy enters the body, keep focused on it and begin to breathe slowly. “By attuning in this way, the physical body will vibrate and with the eyes closed there will be a series of flashing lights taking place at the third eye. Keep focused upon this light and continue breathing. If there is data stored in the stone structure there will appear to you a series of rapidly forming images. 1) Clear and charge the crystal with breath and intention. Always use Love and well being as the primary charge. The intent of information retrieval can also be used. 2) Point the crystal at the object you wish to investigate. 3) Focus on the object, draw the breath in, close the eyes and pulse the breath with the intention of opening the records that are written in the stone. 4) Place your hand on the stone unless the object is so small that you are already holding it in your hand. If neither of these can be done, simply hold your free hand with the palm toward the object. Draw the breath in, close the eyes and pulse your breath with the intent of your consciousness entering into the object. 5) Breathe two to three times slowly. As you do this, you open the mind’s eye with the intention of seeing the records that are written in the stone. Hold your breath, look and describe the images that come through to the mind’s eye. Have a friend transcribe this and go over the data when you have completed the information transfer. This is a way of creative archaeology. We can not only dig up the megalithic stones at archaeological sites but also see the completed structures from a witness sample of an individual stone or fragment. Unwanted tensions can cause our energies to become rapidly imbalanced. Each feeds upon the other. Physical tension will cause energetic imbalance and this imbalance will produce tension. Each maintains the other. This process will help to reduce or eliminate unwanted patterns held in the body. This is a three-part process. After part two repeat the first phase again making the changes described below. Always think well of yourself and hold yourself in a loving light. 1) Clear and charge your crystal. Always charge the crystal with a felt sense of Divine Love. Hold the opposing tips of the crystal with the thumbs and forefingers. The crystal is parallel to the ground with the operating tip pointing to the right. Draw in the breath; look at the face of the crystal that is toward you. Pulse the breath. Rotate the crystal away from you so that the next face is towards you. 2) Repeat the above process and do this for each face of the crystal. 3) Reverse the tips of the crystal so that the operating tip now points in the opposite direction, to the left. 4) Repeat the entire process again. The next step in this process is to now hold the crystal in your dominant hand in front of you with the operating tip pointed upwards. With eyes closed, be in the crystal and let your consciousness go to the area of your body that needs treatment or balancing. When you link into that area you will begin to feel an oscillation in the crystal. Sometimes the arm will begin to move back and forth in synchrony with the crystal’s internal vibration. Bring your other hand in opposition to the crystal so the two are approximately 15” or so apart. Both hands may begin to oscillate. Feel the energy generating from the crystal. Focus you consciousness on the distressed area with the intent to release the patterns locked in to your body as you take a slow deep breath. Pulse the breath through the nostrils in a sudden burst to release the patterns locked into the area of your body that is in distress. You may need to do this more than once. When you are complete allow your breath to become slow and deep. Fill the treated area with golden white light, love, and the intent of what you now want for yourself in regard to healing. Repeat part one again, this time holding in consciousness the image of what you want for yourself. See yourself doing the things you want to do, feeling the things you want to feel and so on. Visualize yourself as complete, whole and well. When you have repeated part one again you can then imagine the treated area of the body covered with a bandage of light blue light. As much as possible, remove yourself from distractions so that you can be quiet and able to go within for approximately twenty minutes. 1) Clear and charge your crystal. Always charge with crystal with a felt sense of Love. You may wish to begin with the energy balancing described above before proceeding to the meditation practice. 2) Hold your crystal with both hands with the operating tip facing upwards. Breathe in and as you slowly exhale let the eyes close down. Draw the breath in with the intent to become one with the crystal. Hold the breath for one or two seconds and pulse the breath. Allow yourself to experience any change that may happen. 3) Breathe in and out slowly and deeply three times. 4) Create a point of light within the upper portion of the crystal and mentally link with this light. Begin rhythmic breathing; draw the breath in for four seconds; hold the inhalation for one second; gently exhale for four seconds; hold the exhalation for one second. Continue this breathing for two or three minutes and then draw the breath in and hold the inhalation. Keep the point of light in the mind’s eye. Relax and breathe when needed. At no time is there need for stress or strain. If at any time you become dizzy, relax the breath and breathe normally. As the light begins to fade from the mind’s eye, relax and allow yourself to be in a comfortable position, sitting or laying down. You can hold the crystal or put it down as desired. This is a continuation of the basic meditation practice. It is helpful if you have an audio recorder to record your experience and be prepared in advance with the questions you seek to answer. 1) Always clear and charge the crystal before beginning any practice. If you are doing this as a continuation of another practice there is no need to clear and charge the crystal again. 2) Having created a point of light with the crystal, go within that point of Light and ask that your inner teacher come and join you within the Light. You may feel a change within the body as this happens. 3) You can carry on a conversation with this aspect of yourself by verbally asking questions and hearing the answers that come. This is a form of channeling that can be used for self-examination or counseling. Ask questions that are important to you and do not use this procedure for frivolous entertainment. You will receive your answers or guidance based on the level from which you approach this process. Your subconscious is very aware of your intent and will access you to the appropriate level of consciousness. 4) When you have finished the session create the intent to be free from the contact, draw the breath in and pulse. This will assist in grounding you in your body. It is important to disconnect from your crystal once you have completed your practice, as you will remain in a rather altered state of consciousness. It’s also a good idea to drink plenty of pure water afterwards. Clear and charge your crystal as described above. Always charge the crystal with a felt sense of love. Create within the crystal a point of light and be one with that point of light. As you breathe in, have the intent that you are one with the point of light. As you slowly breathe out allow your consciousness to merge with the light point. Allow the entire crystal to become filled with light. Mentally invite your partner to be with you in the light of the crystal. Allow your Heart energy to include them and yourself to be included. Be in this space as long as you choose. Slowly bring your energy field back to the crystal and the space in which you are sitting. Your partner is now in his or her own personal space, not in the crystal. Slowly allow the light in the crystal to diminish to being only a point. With a slow inhalation withdraw your consciousness from the point of light. When you are ready, create the intent to clear the crystal as you slowly breathe in and then pulse the breath forcefully through the nostrils in a sudden burst. When you are finished with the process take in a few deep breaths, stretch and allow yourself to return to “normal” waking consciousness. It is assumed that some form of introduction, discussion, therapeutic intervention or other process of information gathering has preceded this form of treatment. It is important for the facilitator to have some background and understanding of what is going on with the client and their life. A normal type of intake interview protocol would suffice. It is important also that the client know what you mean when you instruct them “to go to the source of their distress” and that it is not necessary that they find anything in particular. Whatever arises in their consciousness is enough. If nothing in particular arises this is fine as well. Consciousness will go to the source of the distress whether or not the client is aware of it or not. One is always speaking to the client’s Higher Consciousness or Soul. You may need to take a moment or two to prepare yourself for the treatment. Being centered and Heart Focused is very important. Whatever else may happen during treatment, therapeutic intervention with the crystal is primarily a means of transmitting unconditional Love. Healing is the process of allowing more Love, of allowing the Soul to become more fully embodied. All other considerations are secondary. The amelioration or removal of specific conditions is part of the process of allowing a more fully embodied Soul life. It is the consequence of treatment but not necessarily the primary purpose. The “healer” or facilitator is working as a Soul to assist another Soul in manifesting more completely in the earth plane. It is important that the facilitator have a degree of consciousness as a Soul to be effective. Focus the mind on the intent of clearing the crystal of any unwanted charges or programming. Slowly draw the breath in as you focus on your intent and on the crystal. Hold the indwelling breath for a second or two and then release it in a sudden burst. This sudden burst is similar to a sneeze or blowing one’s nose. The pulsing action will disrupt any accumulated charge. The focused intent will target the precise programming or charges to be disrupted or erased. Repeat this process for each pair of faces of the crystal. For example, you would do this three times with a six-sided crystal, four times with an eight-sided crystal, and so on. Charge the crystal with Divine Love. The crystal will then begin to oscillate or vibrate in your hand. You may feel the vibration in your body as a kind of buzzing or tingling sensation or perhaps even heat. If this does not come immediately draw in a slow deep breath as you focus on the crystal. As you draw the breath in the charge from the crystal will enter your body and it may be easier to experience the energy this way. Don’t be concerned if none of this experience occurs at first. It often takes time to be able to sense the subtle changes. Drawing the index finger slowly from the tip of the crystal to the girdle (where the sloping faces forming the tip meet the body of the crystal) is another way to test if it is charged. When the breath is drawn in the finger will glide easily over the surface of the crystal. With the breath exhaled there will be a “stickiness” or resistance that prevents the finger from gliding smoothly. Once charged, the crystal is responsive to your breathing. When the breath is held in there will be no charge in the crystal. It is in your body. When the breath is exhaled the charge is transferred to the crystal. The crystal’s greatest potential moment, therefore, is when the indwelling breath is held. The primary target area for general healing work with the crystal is over the thymus, about four finger widths below the sternal notch. The thymus acts as a sonic screen converting long wave frequencies into shorter wave frequencies that can be utilized by the body at every level, particularly the cellular. There is also the consideration that the thymus links one into the immune system of the body thereby giving access to a large portion of the energy system. We are not dealing with the Heart chakra per se. One stands, more or less, at ninety degrees from the client so that the empty hand, serving as a sensor, can reach to be between the patient’s shoulder blades while the “crystal” hand can reach to the their sternum. Ask the client if they truly want healing to take place and are willing to be responsible in the own healing process. It can often be helpful to ask if they imagine themselves being well. If they cannot answer yes to either question, further counseling or other form of intervention may be more appropriate. If one is so inclined a short prayer can be recited or a statement of intent made. The facilitator is speaking as a Soul invoking or calling upon the resources of the client’s Soul consciousness. Apart from setting the intent and focus it also begins the process of coming into resonance with the client. We all share sacred frequencies and resonance or entrainment can be most easily established at the level of the Heart, the seat of the Soul. One then establishes resonance on a physical energetic level. Pacing the breathing of the client can do this. i.e. breathing with the client. As they breathe in, you breathe in. As they breathe out, you breathe out. If the client is breathing too shallowly encourage them to breathe more deeply. This can be done by verbal suggestion or non-verbally by simply increasing the depth of your own breath. If they do not follow your non-verbal suggestion you can then instruct them as to how you wish them to breathe. The purpose of working with the breath at the beginning is simply to energize the client and encourage their energy to flow a little more freely. The intent is not to induce any kind of hyperventilated state, but to allow more flow, energy, and relaxation. Once you have come into energetic resonance with the client and are satisfied with their breathing you can then enter the energy field with the crystal. To do this draw your breath in and hold it. Move the crystal in toward the thymus with a counter rotating movement. This is done by a pronation of the arm as you move the operating tip of the crystal toward the client’s thymus area. You are not describing a counterclockwise circle with the crystal, but simply rotating or rolling it in a counterclockwise direction. The crystal is held at a distance of approximately one inch or so from the client’s chest. Slowly rotate the crystal clockwise by supinating the arm. Again, you are not describing a clockwise circle with the crystal but merely rotating or rolling the crystal clockwise. At a particular point in the rotation a slight resistance will be felt. This is usually accompanied by a shift in the client’s body. The breathing may change; the body may begin to move back and forth; REM may begin or they may be a change in skin tone and color in the face. You may also feel a change in your own body. Sensations in the sensor hand will usually occur; there may be heat, tingling, pulsation or various other changes. All of these are indications that you have linked or entrained to the client’s energy field or etheric body. You may also feel the crystal as if bouncing or floating on a wave of energy, a magnetic field like sensation coming off the client’s body. Once this is accomplished you can release the breath and breathe normally. It can be helpful to breathe in synchrony with the client. If you are not able to link into the field upon first attempt, begin the process again. If you do not have success on the second or third attempt another method can be useful. This is a variation or refinement of the process just described. Imagine over the thymus area of the patient a small clock-face, perhaps two inches in diameter with the thymus directly in the middle. Attempt to link into the field as already described but this time entering at the twelve o’clock position on the clock rather than the center point. If this is not successful move to one o’clock, two o’clock, three o’clock and so on until you find the area of resonance. In the beginning it is a matter of practice, patience, and sensitivity. Once resonance has been established you can move on to the next step. As you breathe with the client slowly move the crystal up and down over the sternum. Be sure that the rhythm of the movement follows the breath. As the breath comes in, the crystal moves upward. As the breath flows out, the crystal moves downward. Be sure that the movement of the crystal is smooth and synchronous with the breath. The effect of this motion is to amplify the overall energy field. If the client is breathing in a shallow fashion it may be necessary to guide their breath. Tell them to breathe in…and out in the rhythm or pace that you wish to set. Maintain the movement of the crystal in pace with the breathing. As you continue to describe the clockwise circles over the thymus instruct the client to take in a slow deep breath as they focus more intently upon their distress. You are doing likewise as you draw the crystal away from the thymus area at approximately a forty-five degree angle. The sensor hand also is pulled away from between the shoulder blades at a similar forty-five degree angle. At the peak of the inhalation tell the client in an emphatic voice to “RELEASE!” Both you and the client simultaneously pulse the breath forcefully through the nostrils in an explosive release of the breath. It is important that the release of breath be as synchronized as possible. When the releasing is complete, bring the hands so that they energetically support the client. The dominant hand is over, but not touching the sternum area while the sensor hand is similarly positioned over and between the shoulder blades. This is to ensure that energy does not continue to flow out the client as in a type of “energetic bleeding”. So far, what has been described relates primarily to the "Healing" crystal. Because of its double terminations it has the ability to transfer a charge. The Vogel-cut® meditation crystal will not do this but does have other applications. The meditation crystal has a single termination and is basically an information storage device. The steps in clearing and charging the meditation crystal are the same as the healing crystal. When you sense that the crystal is charged, there is a pulsation, sit with it in your hand and be quiet for as long as you choose. The processes described above (Basic Meditation, Contacting the Inner Teacher) can be used. Additionally, once our consciousness is in the crystal, ask your guidance to connect with you within a point of light in the crystal that you have created. Dialogue with this guidance and, if possible, record the information so that you can review it later with discernment. The field generated by the crystal will allow only the highest of energies to link with you in the crystal. This is a continuation of the basic meditation practice. 1) Remember to always clear and charge the crystal before beginning any practice. If you are doing this as a continuation of another practice there is no need to clear and charge the crystal again. 3) You can carry on a conversation with this aspect of yourself by verbally asking questions and hearing the answers that come. You may wish to speak the answers into a tape recorder. This is form of channeling that can be used for self-examination or counseling. Ask questions that are important to you and do not use this procedure for frivolous entertainment. You will receive your answers or guidance based on the level from which you approach this process. Your subconscious is very aware of your intent and will access you to the appropriate level of consciousness. Clear and charge the crystal. Roll the crystal clockwise in your dominant hand for several minutes. This is the same as rubbing a "worry stone", but in the case of quartz, the crystal will absorb whatever energetic patterns are causing you distress. When finished, clear the crystal to eliminate the deleterious patterns. This is also a good way to record information in the crystal. While reading or listening to audio book, roll the cleared and charged crystal in your hand. As you continue to read or listen, the patterns of thought will be recorded in the crystal, available to be retrieved at a late time. One can use the crystal as an aid in learning and studying. The daughter of a friend was having great difficulty with her math. Grades had gone down along with self esteem. She asked if there was anything she could do with this "weird stuff" I was into. Partly a sincere question, partly a challenge. I told to take a crystal, clear it, charge it, and be ready to study. She did this. Her task was to go into the crystal (as described above) and then read her assignments. Pretending to be in the crystal, however ridiculous it seemed to her, was easy. She then read her textbook and did whatever written work was required. All the time the crystal was on her desk. For her next test she was to go into the crystal and write the exam from their. To her surprise, it was if she had the material laid out in front of her and was just reading from the book. Over the next few weeks her grades improved dramatically. Her teachers became suspicious and noticed that she had a quartz crystal on her desk. This became forbidden. I suggested that she continue the same process, but leave her crystal at home and connect to it from school. She did this and was happily amazed to find that it was exactly the same as having the crystal with her. This was the end of her difficulty with math. One could also use the Star of David medallion for this as well. Quartz crystal demonstrates Star of David energetics. In order to utilize this configuration for our highest benefit, we have found that using this pattern as a shield faceted from pure quartz to be very effective not only as a type of psychic shield, but also as a tool for subjective communication. “We have designed, after careful testing and measurement, an optically clear quartz crystal medallion, cut in the shape of a triangle, which is worn over the witness area (thymus gland). It may be programmed with any thought of intention you choose, but we have had great success using it as a protective shield from unwanted energies. A drop of a flower essence, a homeopathic remedy or such can be placed on this medallion and it will radiate its essence throughout your body. “When the medallion is imprinted with the thought of Love and well-being, the energies of the body become cohered so that they become an impenetrable barrier, a protection. One can then deal with external energies and forces without taking them in or having them interfere with one’s own functioning. This doesn’t reduce one’s sensitivity but rather increases our ability to remain open and tune into whatever one might choose. “Without this protection, one would feel the different vibrations of each of the people with whom you come into contact. An energetic confusion can arise as to how to process these energies within one’s own body. This will begin to interfere with your natural functioning with the resulting feeling of being drained due to all of the vibrations one is forced to process. “Within the triangular structure is contained another triangle, one quarter the size of the medallion, with the tip on the back of the medallion facing upwards as it is worn over the witness or thymus area of the chest. Another triangle is facing downward. This is the face that presents outwards when worn. The template of the medallion when energetically charged forms four sided pyramids in the space around us, tetrahedrons, the symbols for water (the molecular pattern of which is also tetrahedron). There is a balancing of forces. The fields generated by these patterns are kept steady and the physical body is able to adapt to and integrate those forces encountered in daily interactions with others. This is similar to the action of the Vogel® “healing” crystals. The medallion was designed to be worn with the downward point triangle facing away from the body. Cut properly, the C axis of the crystal is pointing away from the body. This creates a field that moves away from the wearer and creates a standing columnar wave, comprised of interpenetrating tetrahedra, surrounding the body. The energetic field of the individual is then able to absorb the information encoded in the medallion to the extent that is needed. In addition to the vibration of Love and Well-Being, one can program the medallion with whatever information is appropriate to a given situation: homeopathic remedies, color, flower essences, etc. This energized medallion creates a high vibrational shield around one that denser energies cannot penetrate. This includes ambient energies, thoughts directed intentionally or unintentionally at one, the dense patterns of a client one is treating, and so on. Additionally, when one is in the process of releasing limiting pattern the medallion should not be worn as it will prevent these energies from being dissolved. This is true of all jewelry, crystalline and metallic ornaments. To CLEAR the medallion of unwanted energies, programs, or thoughts, hold it in one hand and rest the other hand over it. As you draw in your breath, have the thought of clearing the medallion of any harmful, limiting or unwanted energy. Release this thought into the medallion via the pulsed breath. To CHARGE the medallion, repeat the procedure described above but instead of the thought of clearing have the intent of energizing the crystal with Love and well-being. This method of clearing and charging will be effective with any crystal or jewelry item. Another way to clear and charge the medallion is shown above. This is the type of medallion that Marcel wore all the time rather than the Star of David. Putting your intention into a device like this helps you build and maintain a shield of security for yourself. Wearing one of these medallions with loving intent can hold the integrity of you body and maintain the equanimity of self in spite of whatever goes on in and around you. Should this medallion be worn in reverse, the fields around you will collapse into the body and there will be no shielding effect. The optimal way to feed the subtle and physical bodies is to creates a field of nourishment around the physical and allow the various energy fields to absorb what needed rather than pushing information into the body. Although wearing the medallion in re3verse somehow makes sense, our t3sting has show that it indeed causes the field around the body to collapse. One's "feeling" cannot always be relied upon in all situations. Various recreational drugs can make one "feel" good, but the reality is quite the reverse. Consciousness seems to be expanded but in actuality is often not. The work with the crystals is not to manipulate the energetic fields but to create a situation where they can come into balance. This is their natural state and they will return to this if impediments are released. "All disease is a result of inhibited Soul Life"
Djwal Khul, the Tibetan through Alice Bailey. She recalled that eating a whole cooked head of garlic was excellent at normalizing blood pressure and so proceeded to prepare brushcetta with garlic for all of us. Although this was a wonderful taste treat, it was not exactly the most appropriate thing to be eating during the retreat seminar. Not all participants were indulging in the snack therefore we decided to find another approach so that the aroma of the garlic would not be offensive to those who were not eating it. Having charged the crystal appropriately, she then projected her consciousness into it. She then sat in meditation for fifteen to twenty minutes. The result was that she could subjectively feel the internal pressure decrease. This would last for about one day, after which the feeling of the high blood pressure experience would return along with the signs of vaso-dilation in the eyes. With the return of the pressure, P. would remember to repeat the process. This is a normal pattern when we use a palliative remedy. As long as we have no negative feedback we forget to continue that which helps us. More to be added. Check back. Process by which number of atoms in excited state ( meta-stable) is made higher, compared to atoms in ground state. which increases stimulation probability high in LASER, is called population inversion. Palvai, Girish Kumar (2013-09-21). Dictionary of Physics (Kindle Locations 3985-3986). Girish Kumar Palvai. Kindle Edition.